At 23.00 in the Ciudadela (The old citadel) at the Vuelta del Castillo. 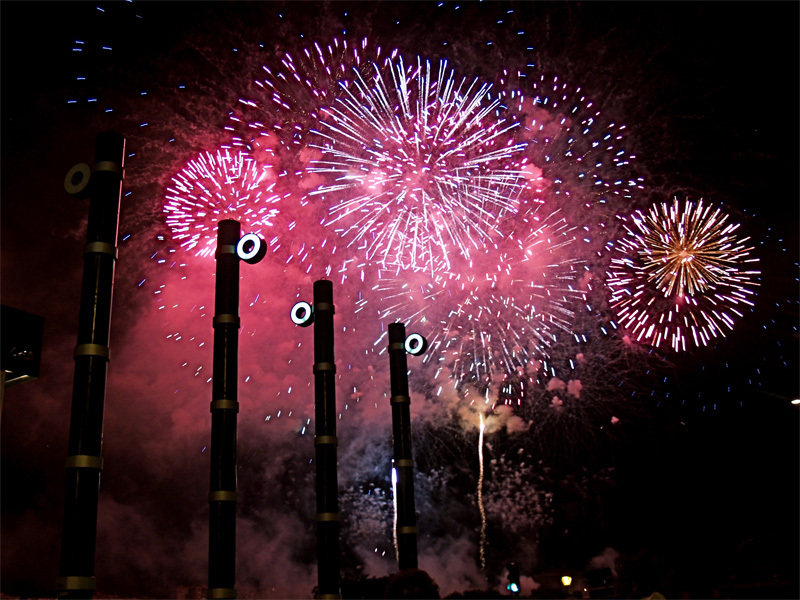 Every night during the Festival there is a half an hour fireworks display put on in the park. Here, you will get the best view of the display, although of course, the display can be seen and heard all over the city, to a greater or lesser extent. It´s worth having a good look at it at least on one of the nights. If you go to the park, you can stretch out and gaze right up at the whole spectacle. You´ll get a view that you couldn´t possibly get from the narrow streets of the old part of town. You don´t have to worry about space here, even though a large crowd usually gathers in the park to watch the display, there is ample room for all in the wide grassy spaces. Anyway it is better to go in time. 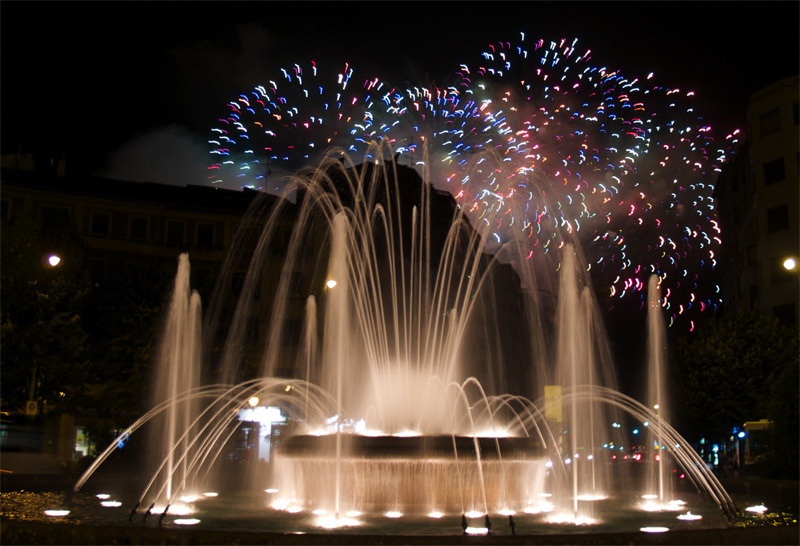 A good spot to watch the fireworks is The Vuelta del Castillo Park or the esplanade over the Coach Station where you can sit on the grass. 2014. Xaraiva. Albarellos – Monterrey (Orense). Are you going to run with the Bulls?